Soul Mates is an Australian 35 minute scripted comedy television series, which kicked off on October 23, 2014, on ABC and is broadcast every Thursday at 21:35. The show is currently in its 2nd season. 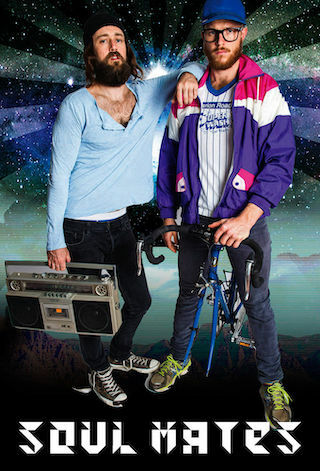 "Soul Mates" has fun with big life questions as the twin souls of a pair of Bondi Hipsters appear throughout history and the future in a fresh blend of sketch comedy with a narrative arc.